The first poster for Marvel's Guardians of the Galaxy movie is out and it's a stunner. 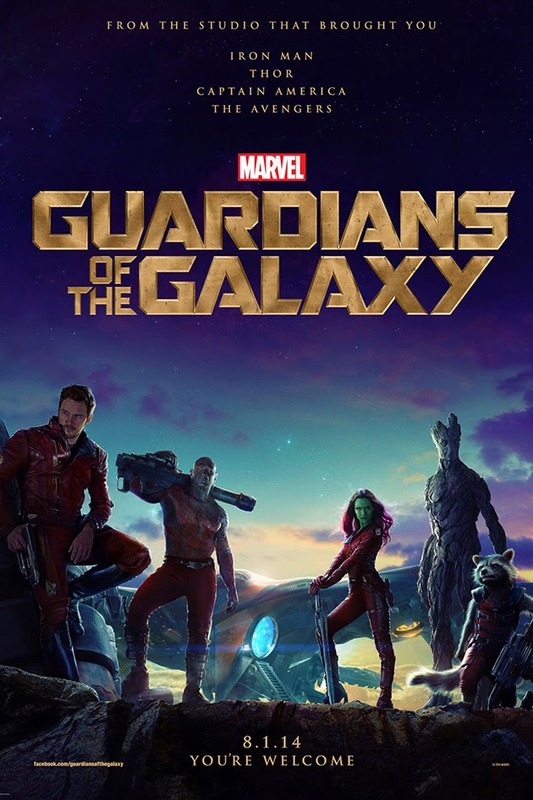 Not only does the copy have the same tongue in cheek humour of the film, it separates itself from the super-hero films of Marvel Studios' past, by playing off a real pulp-adventure feel akin to greats like Jack Kirby's Challengers of The Unknown. Heck, even the uniforms have a similar vibe! Whether the homage is intentional or not, it's a perfect fit for the rag tag team - and one that further amps the excitement for what lies ahead. As Marvel prepares for exactly that, and we've already seen the toys, masks and accessories ready to carry the Rocket Raccoon likeness, I'd like to second writer Greg Pak's call for fans to consider donating at some point to the healthcare costs of Rocket co-creator Bill Mantlo. If every fan who enjoys Rocket's big screen antics could drop a couple of bucks his way what a difference it would make. You can read Bill's story in Bill Coffin's moving article here, and also how to donate to Mantlo here. -More for us. This has cult-film written all over it. Once it's out, everyone will be on the bandwagon claiming that they always were. -Just like with Firefly. This is pathetically true. sometimes I don't even say anything when I hear people talk about comics getting all their information from movies. They mean well (I guess). The poster is sorta breath taking, in a pulp fiction challengers of the unknown type a way. On the human Torch post of yours I wrote a little mini book. And lost it when I hit enter. Couldn't force myself to type two words after that. Basically i'm saying that was a damn good post Dan and damn good comments as well. As far as re-imagining goes, the Challengers of the Unknown would be the perfect platform for a multicultural team of adventurers in this modern age with a pulp feel to it. Who could legitimately cry about multicultural leading comic heroes then? Don't you hate when that happens OA - I've had it happen and it can almost turn a Bruce Wayne Joker. Thanks the support though mr, I'm glad you liked what I had to say and where I was coming from. The Challengers would be awesome, especially if the membership morphed as the core team tracked evil and the unbelievable across the globe and beyond and heroes of each country visited joined in. TV, movies, comics or web like you say the potential is there.